The Dienes PQA-DF30 Crush Cut knife holder has been proven to be an outstanding slitter for many years. 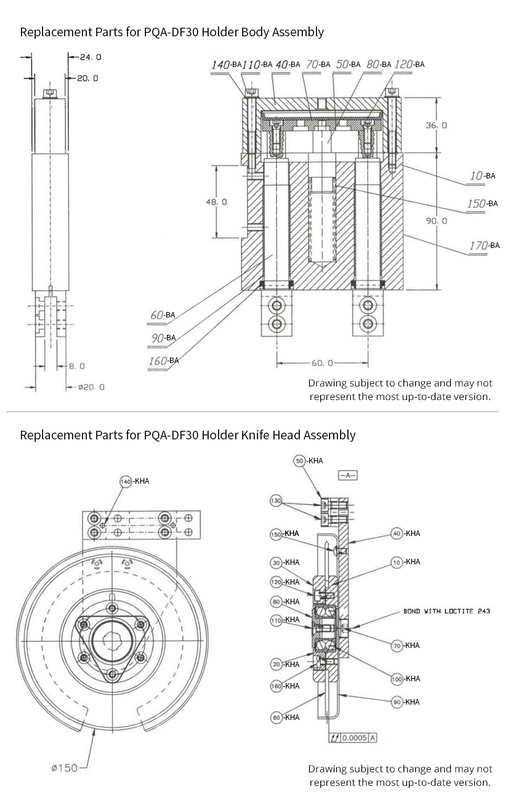 This holder design employs a double row preloaded, sealed ball bearing design capable of withstanding heavy loads up to 125 pounds force at high speed. Slitting fiberglass, nonwoven materials, paper and films the PQA-DF30 is capable of slitting down to 30 mm (1.2 inch) minimum slit widths while sustaining speeds of 2600 feet per minute. 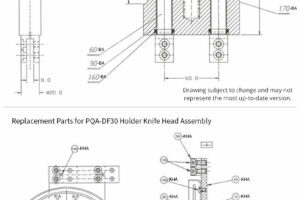 A modular design allows the holder to be mounted with a dovetail, tee bar, or a linear bearing. 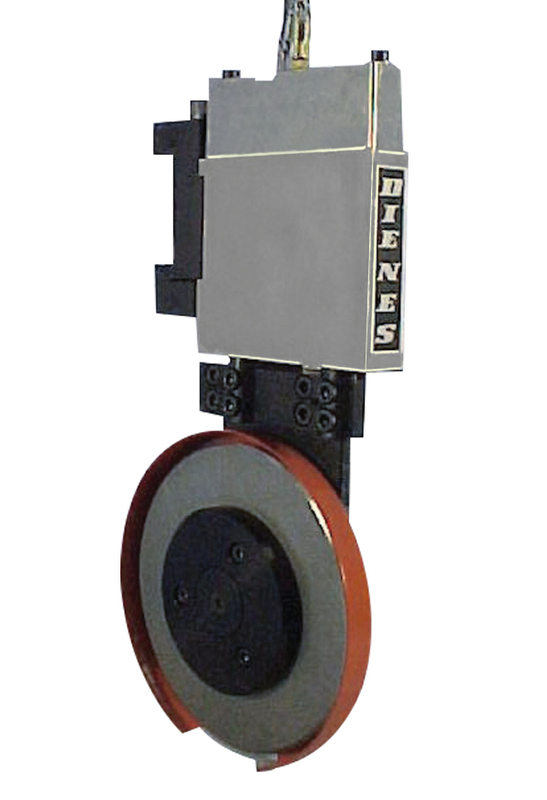 Custom design mountings are possible with the Dienes highly qualified engineering staff. If you are experiencing marginal performance from your current crush knife designs, Call Dienes, the company with over 100 years of Know How.